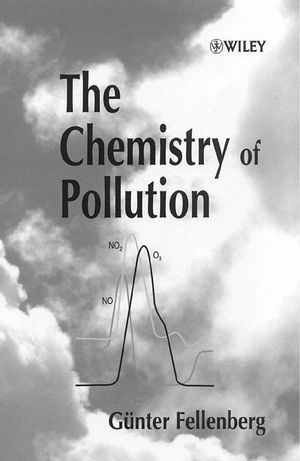 Providing a comprehensive introduction to environmental chemistry, this volume presents an excellent overview of the important chemical aspects of pollution occurring in the atmosphere, in water and in soil. It contains many examples and solutions to practical environmental problems such as pollution via foodstuffs, pesticides and detergents, showing their relation to biochemical processes, toxicology, climate, ecological aspects and other adjacent sciences. The range of topics covered in this book ensures it will be indispensable not only to students of chemistry but also for all those interested in the chemical principles of environmental pollutants. Professor Günter Fellenberg was born in 1936 in Hamburg. A graduate of the University of Erlangen, he is a former secondary school teacher of biology, chemistry and geography. In 1962 he was awarded a doctorate and in the same year he became a scientific assistant at MPI for Botanical Genetics in Rosenhof/Ladenburg. In 1963 he became a scientific assistant at the Botanical Institute of TU Hannover. In 1968 he received his Habilitation for a research paper about restitution processes on germs. In 1970 he took up a lectureship at the Botanical Institute of TU Braunschweig. Since 1975 he has given lectures to students of all schools on the issues of pollution. Impairment of Ground Water and Surface Water.